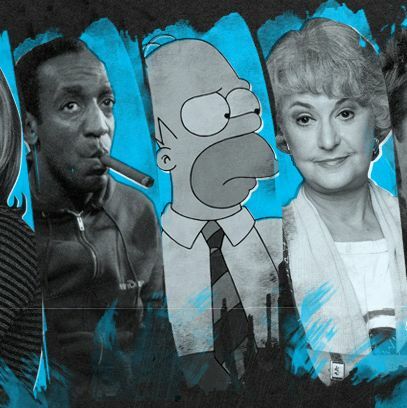 What’s the Best Sitcom of the Past 30 Years? Last March, Vulture held its Drama Derby, a sixteen-show bracket judged by a panel of top writers to ultimately decide the greatest TV drama since 1990. NYPD Blue, Battlestar Galactica, My So-Called Life, The Sopranos, and more battled it out until The Wire emerged with the title. (And along with this victory came lingering feelings from fallen shows’ fans that there are no true winners: How appropriate for The Wire!) This year, we’re taking the Derby in a more lighthearted direction, to decide the greatest sitcom of the modern era in what we are alliteratively calling the Sitcom Smackdown. But make no mistake: Though the barometer may be laughs, our new jury is taking this very seriously indeed. But Cheers — while at its heart a traditional workplace sitcom, and coming from alumni of the similar-minded Taxi — wasn’t just hilarious; it added something to the form: a dramalike will-they-won’t-they arc that took seasons to resolve. (Its precursor, Soap, was, yes, soapy, but that was part of its unique, satirical raison d’etre, as opposed to something to be repeated.) Novelist Kurt Vonnegut, who knew a thing or two about great writing, was ahead of the curve when he said back in 1991 that he’d “rather have written Cheers than anything I’ve written.” He already got that the sitcom was emerging as the most perfect of American art forms — the one thing our deeply divided country can agree on: It’s fun to make fun of people! Or, more diplomatically: It’s better to laugh and cry than just cry. For the next 30 years after Cheers, sitcoms continued to evolve and stretch the form, whether through putting heretofore unheard of people at the center (The Cosby Show’s affluent black family or Roseanne’s crass, angry housewife); exquisitely layered plots (Arrested Development); and jokes about jokes about jokes (30 Rock). The Simpsons introduced pop-culture references so dense, repeated viewings were mandatory; by the time you get to Dan Harmon’s Community, you need a treatise to deconstruct each episode. The generally agreed-upon “golden era” of sitcoms was back in the fifties, sixties, and seventies, the decades that spawned I Love Lucy, The Honeymooners, Mary Tyler Moore Show, and All in the Family — shows that, to this day, provoke the emotional equivalent of genuflecting, and whose DNA (workplace comedies, wacky neighbors, mismatched couples, dysfunctional families, central un-PC grump you love to hate) is found in even the most surreal comedies of today. We mean no disrespect by not including them here: They are masterpieces of the form, and most still hold up to repeated viewing. To bar them is not to consider them obsolete; it’s simply to focus our battle on modern comic sensibilities rather than a sprawling, oft-traveled debate over the Hall of Fame. Whether you agree with the results or not, we’re hoping that, in pitting such giants of the form against one another, and by having a bevy of TV savants act as referees, you’ll learn something new about these shows, no matter how many times you’ve already debated or rewatched them. And, yes, we do expect plenty of arguments (you thought Charlie Sheen was pissed off before?). We welcome and encourage you to gripe or applaud in the comments section. This smackdown has not been filmed before a live studio audience, so supply the appropriate sounds as needed: ooooh at the tender moments, guffaw at the quoted jokes, howl over unjust calls. This may be about modern comedy, but certain sitcom traditions must be followed.